I like the firenation Katara one! hey! here's some new pics i drew 2day. Yep, all today i merged them so, yeah. Re: Some of My Art (NEW PIC UPDATED 9/22/07) 3 PIKS!! I love the Tokka one. You could use some improvment, but I love it so far! Re: Some of My Art (NEW PIC UPDATED 9/30/07)!! 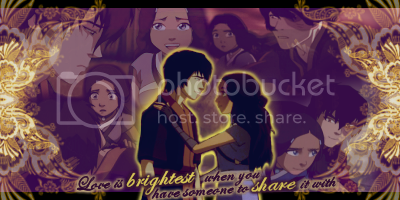 S3 KATARA PIC!! Oooooh, nice one you've got there! Edit: HOLY! 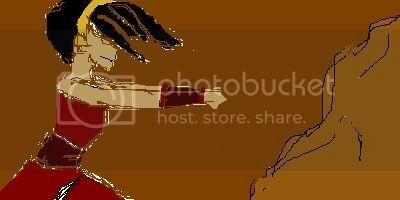 YOU DID THAT ON PAINT?!! Thats insane! Cool progress in drawing and coloring! I really need to learn more too. You definitely have to get a scanner. XD It's so awesome with photoshop too. You can make a whole masterpiece by just doing the sketch using a pen and using your computer for the rest. But practicing with hands is still really great. That's something I rarely do that's why I'm not progressing as much as you. Can't wait for more improved and well done artwork from you! Just check my Art Room if you wanna see what I mean by sketching with pen and doing the rest on the PC. Re: Some of My Art (NEW PIC UPDATED 11/06/07)!! S3 TOPH PIC!! 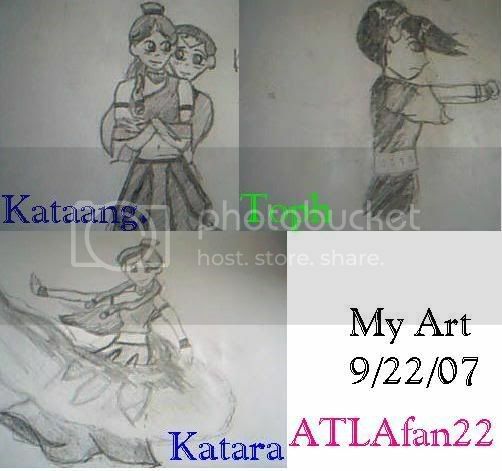 Im a BIG AANG FANGIRL!also ship kataang/tokka!!! Re: Some of My Art (NEW PIC UPDATED 11/19/07)!! 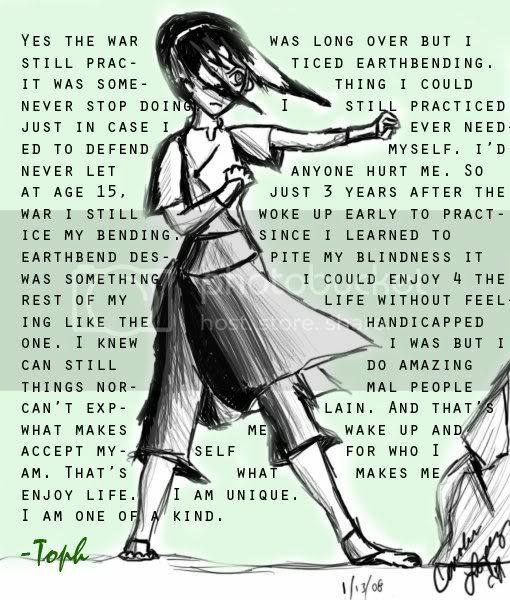 S3 TOPH PIC!! Dude How do you get Art on this place to show?!?!?!? 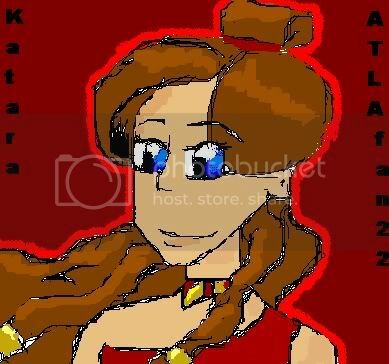 I do some avatar art my self and i would like to post it on here.Please explain how! Sig/avvie By the Awesome works of:Georgie! Oh cool. You're getting a tablet! Lucky you. I also want one too. The pic looks so good! The hair movement is very well done. If this is how you do it by mouse, then getting a tablet will totally bump your art to an even more amazing level! Enjoy your tablet and keep on working on your art! You've got stuff. Please, click here! It's a fun game to play! Re: Some of My Art (NEW PIC UPDATED 2/10/08)!! 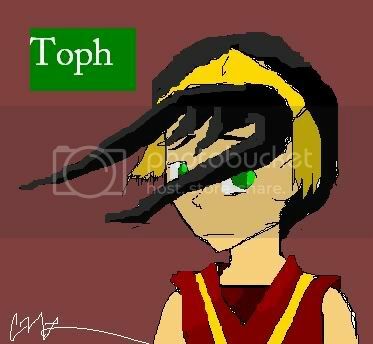 More Toph pics!! 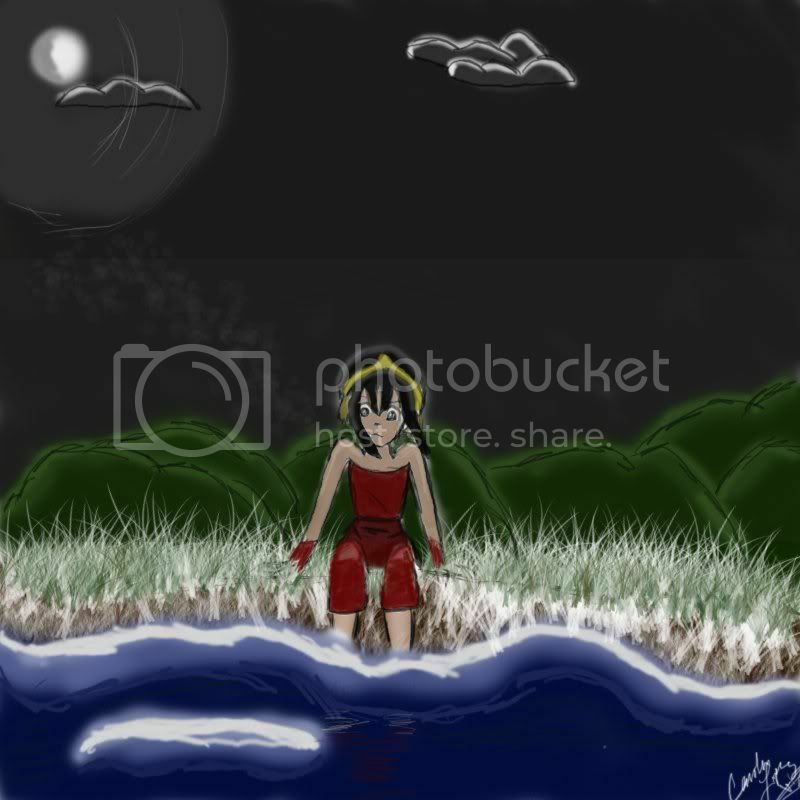 ^The water is ugly but i had a hard time drawing it so..yeah. I an lovin' Toph right now!! Great job! This makes me want a tablet because I don't have one. :'( BUT you are great with the tablet!